This month, the National Safety Council is encouraging employers, regulators, workers and others to support National Safety Month and join the effort to reduce some of the leading causes of accidents, injuries and death people face in their daily lives. To honor these efforts, below, we’ll reveal some important facts to know about the common safety risks you (and your loved ones) face at home, at work and on the roads. If, however, you or your loved one has been injured in any accident related to someone else’s negligence, don’t hesitate to contact an experienced Portland personal injury lawyer at the Savage Law Firm. 1 – Human error is the leading cause of motor vehicle accidents in the U.S. These facts, which we’ve presented for National Safety Month, can keep you safe at home & work and on the roads, a Portland personal injury lawyer explains. Failure to comply with traffic laws. Ultimately, the best things you can do to protect yourself from such human error and reduce your risk of car accidents are to buckle up every time you hit the road, never drive drunk/distracted and always try to drive defensively (operating under the assumption that other motorists are not as sober, alert or responsible as they should be). 2 – At work, the some of the biggest threats to your safety are overexertion and falling. While overexertion and falling are the top workplace injuries that impact Americans year after year, you can personally reduce your risk by getting the proper training, wearing the right protective gear and knowing your physical limitations. Here, it’s important to note that your employer is also responsible for workplace safety and, consequently, should make the appropriate training, gear and other necessary safety precautions available to you to help you stay safe at work. 3 – At home, defective products can be a big danger to you and your family. Stoves, ovens and other appliances, which can expose people to carbon monoxide, etc. To protect yourself at home, be sure to register all of your appliances/children’s items with the manufacturer (so you can be alerted about recalls), only use devices/items as directed and keep your home’s smoke/carbon monoxide detectors in good, working order. 4 – Knowledge & preventative efforts are the best ways to neutralize the risks to your safety. The most important fact to remember for National Safety Month and beyond is that the old saying, An ounce of prevention is worth a pound of cure, rings true when it comes to your safety on the roads, at work and at home. So, stay informed and take the appropriate prevention measures – it could save your life and/or the life of your loved one. 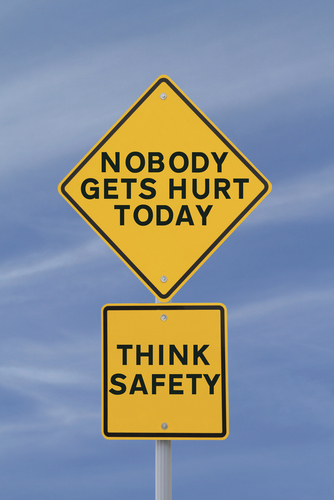 Are you doing anything for National Safety Month? If so, please share your plans and thoughts with us on Facebook & Google+. After being harmed by others’ negligence or carelessness, you can rely on a trusted Portland personal injury at the Savage Law Firm for experienced help and aggressive legal advocacy.